1. If you think that Facebook is a perfect company led by angels, you are right. 2. Facebook is, in fact, run by 4,619 angels. 3. The only non-angel on staff is Mark Zuckerberg, who is actually very human, and 1/16 Cherokee. 3A. This isn’t really a list. 3B(1). You thought you would have more to read. 3B(1)(a). You are addicted to lists. 3B(1)(a)(ii). I am here to help. After reading the list, I would most likely continue not thinking. Wait, 18 things…18 things…that’s an even numbered list. Even numbered lists aren’t as interesting as odd numbered lists, in some cases. I may want to create a list of 17 instead, switching Belgians with Buddhists. Or adding Buddhists before Belgians. Mashable – the Internet god of lists, today posted The 7 Best Kitchen Gadgets for a Stress-Free Thanksgiving. This list had 684 shares at last glance. I wonder how many shares it would get with an even numbered list. Does the number matter? I decided to do some more research. I went to Parents.com, thinking I’d hit a list goldmine. Surprisingly, it took me about eleven seconds to find 11 Signs You’re Becoming Your Mother. Huff Post is a list-haven: 11 Reasons to Love Costco That Have Nothing To Do With Shopping. Are you seeing a theme here? Eleven, perhaps? Someone hasn’t learned that 11 is the new 10, with 10 Reasons You’re Not Rich Yet. Politico, couldn’t you find one more to blame? 10 People Obama Should Fire Over Healthcare.gov. Aww poor Roll Call. They’re way behind the list-making curve: 9 Takeaways From Nancy Pelosi at ‘BuzzFeed Brews’. What is the list? Why is it here? Where did it come from? Where is it going? It got me thinking about life, about death. There’s a huge market in pre-death lists. For a perfectly good reason, I’m sure, 1001 is a very popular number among lists of things to do before death: See this Amazon link. Take out the zeroes in 1001 and what do you get? Eleven. No coincidences. 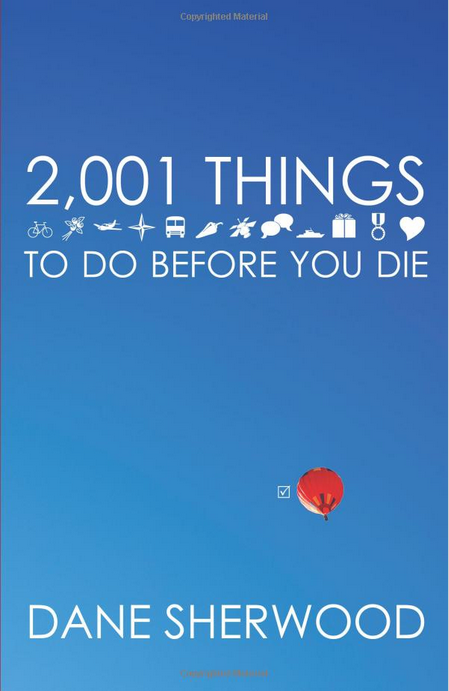 Not to be outdone, Dane Sherwood decided to write 2,001 Things to Do Before You Die. An ambitious Facebook Page creator started a page called 10,001 Things to Do Before You Die. They are still compiling that list. 2014 prediction: a surge of 10,011 lists. Here’s where it gets cool. The old “bait and list” headline is a tactic as old as the world is young, used by many over the millenia, according to Umberto Eco, who touches on their ancient origin. What’s more, he says, “we make lists because we don’t want to die.” I haven’t read the article, but I don’t need to. The title alone speaks to me. In dramatic fashion, minimalist Dr. John Izzo wrote, The Five Secrets You Must Discover Before You Die. I hope his “way, way under 1,001” philosophy catches on. It will in 2015. I think you need a nice relaxing thanksgiving dinner with an extra scoop of ice cream on your pumpkin pie!. Thanks for writing, Mom. It’s lonely at the top.